Womens Batwing Dress Just $13.19! Down From $24! Shipped! You are here: Home / Great Deals / Amazon Deals / Womens Batwing Dress Just $13.19! Down From $24! Shipped! Until January 31 only! 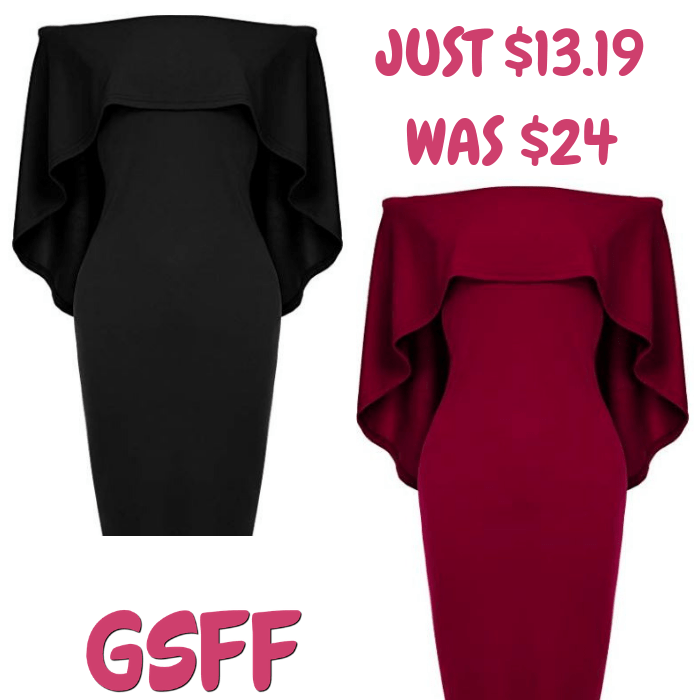 Hurry over to Amazon where you can score this Women’s Off The Shoulder Batwing Dress for just $13.19 down from $23.99 when you use promo code GKHJKNGG at checkout PLUS FREE shipping! This off shoulder dress was made of 80% polyester +20% spandex. Featuring the cape batwing sleeve and midi silhouette looked lovely and classy. Suitable for cocktail, tea party, evening, banquet, dating, casual, homecoming, graduation, bridesmaid etc. This off shoulder dress exudes your femininity and elegance, attractive and be the spotlight in the crowd. Just beautiful!